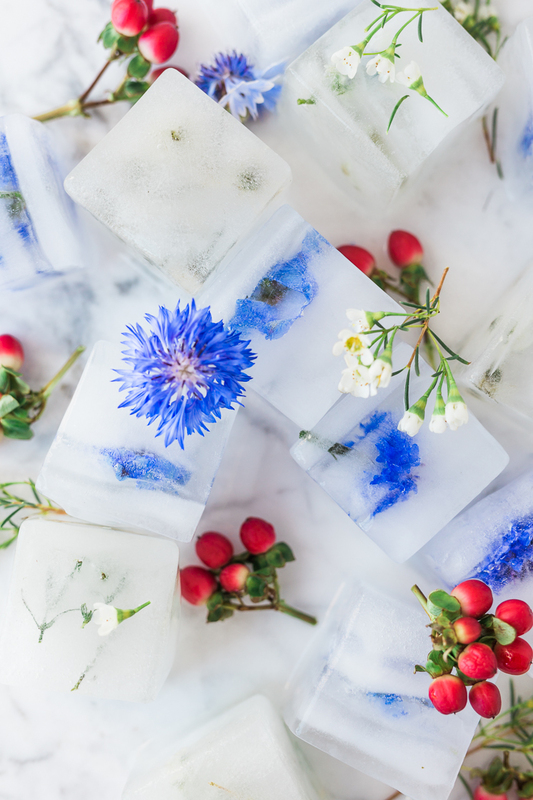 With Fourth of July fast approaching, chances are you’ve got some sort of picnic, BBQ, pool party, or gathering in the works! 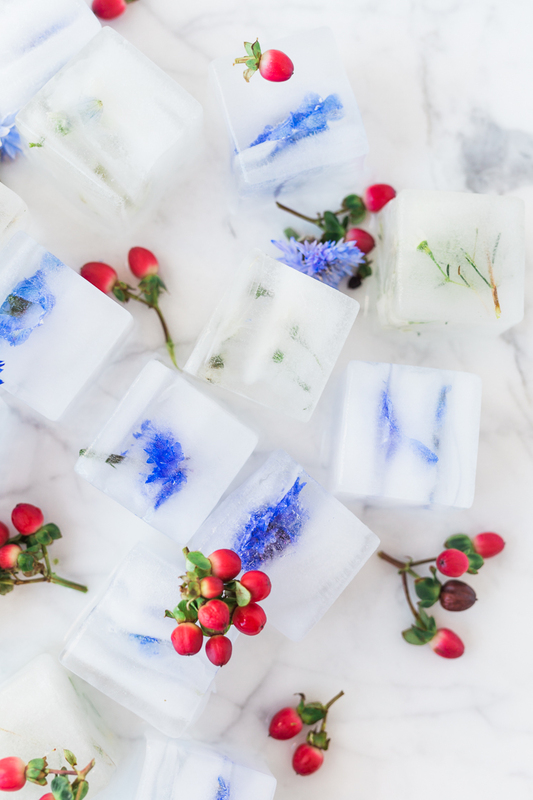 All of which are great excuses to put a little extra pizazz into your party preparation! Nothing is more refreshing that an ice cold beverage in the sweltering summer heat. 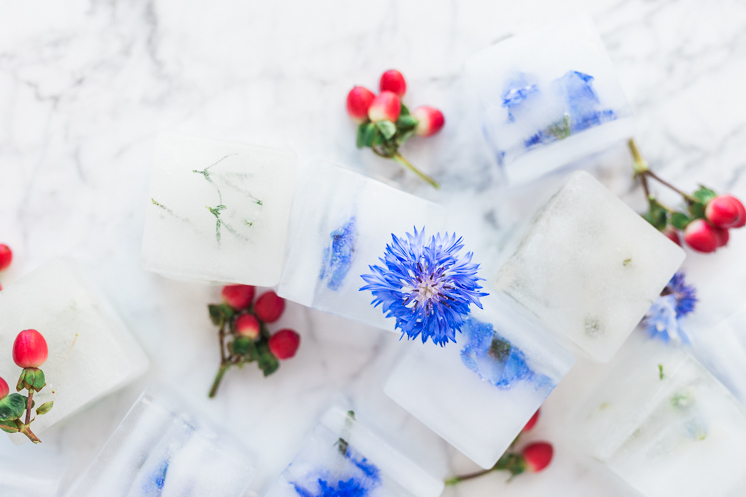 So to ensure that your drinks stay frosty and adorable, we’ve got some special DIY floral ice cubes for the fourth! 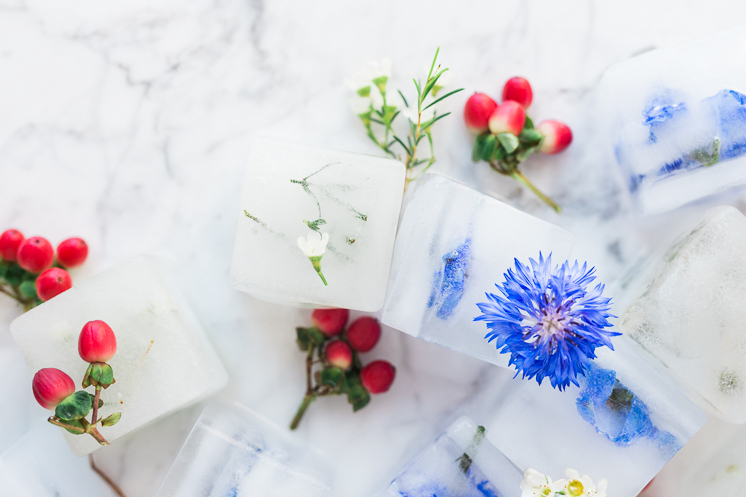 Filled with edible blue and white flowers and garnished with some red berries, these are sure to make any beverage 4th of July worthy. Adding blueberries or raspberries would make another great addition. I’m thinking dropped in some lemonade muddled with berries would be the perfect combination! 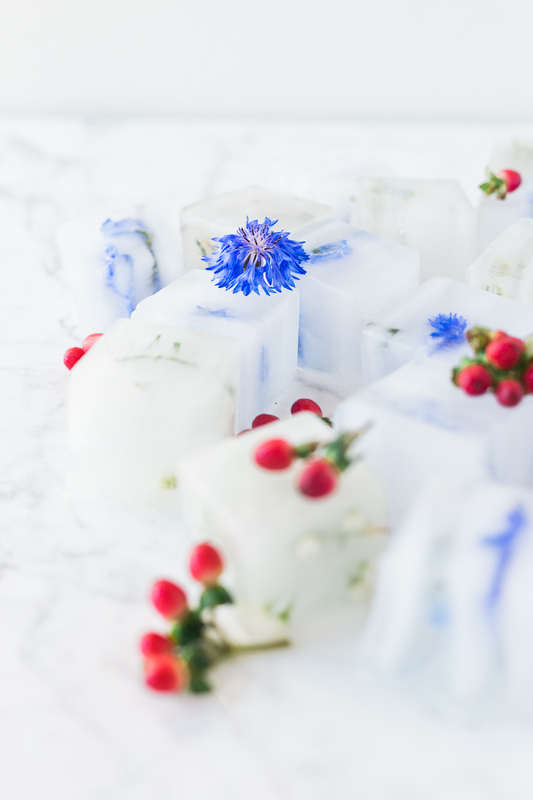 We used a mixture of blue cornflowers and small white blooms, but you can use any variety of edible flowers. 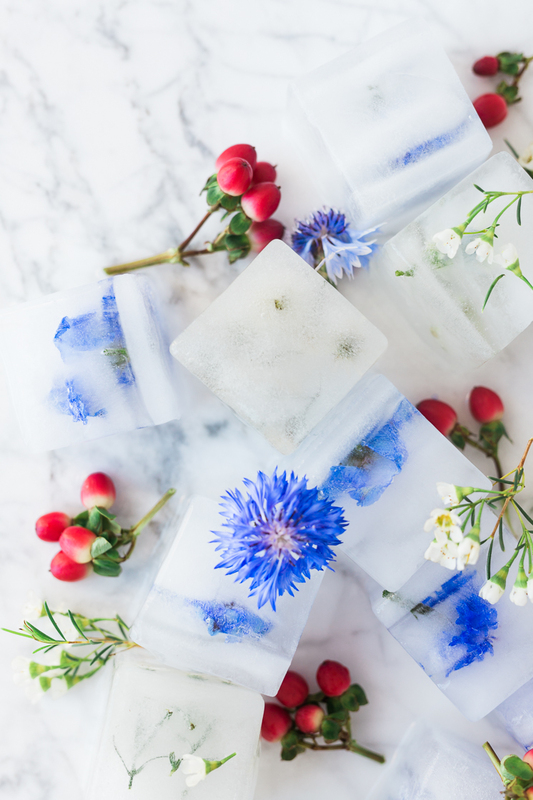 View our Ultimate Guide to Edible Flowers for more ideas! 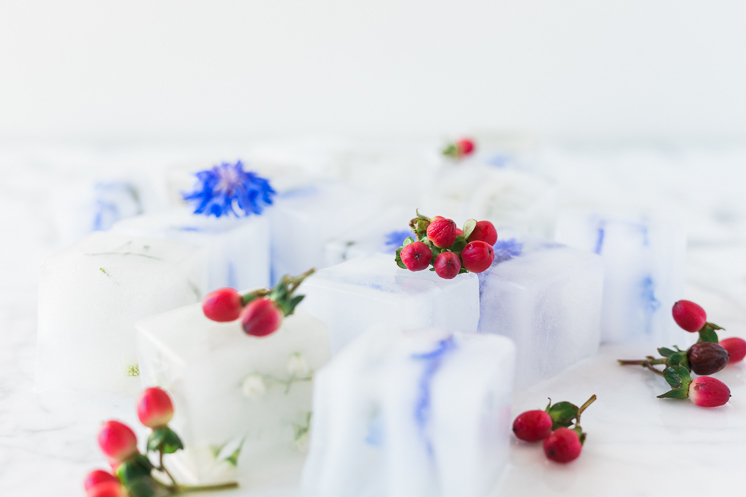 The best part about this project is that you can customize this for any occasion using any color flowers or berries! 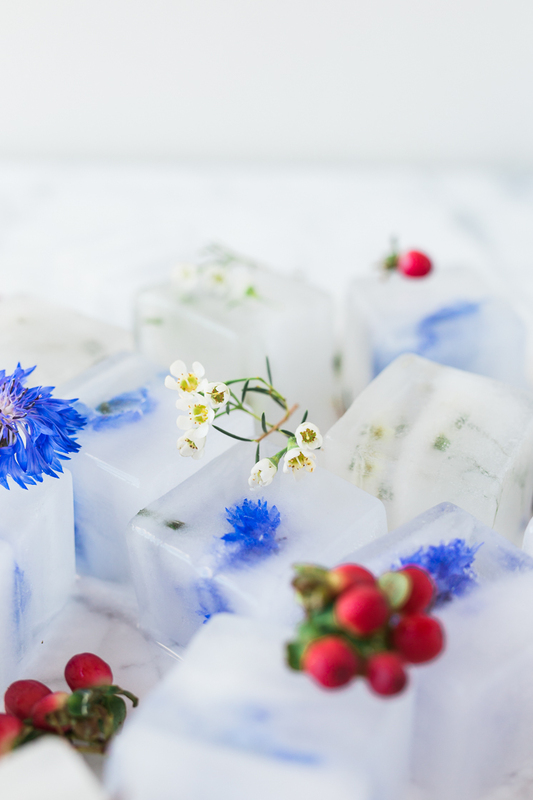 In order for the flowers and berries to stay suspended in the ice cube rather than floating to the top, fill an ice cube try only 1/3 of the way full and drop in your additions. Freeze. Add 1/3 more water and more flowers or berries. Freeze. Top with final layer of water and any remaining add-ins. Freeze. 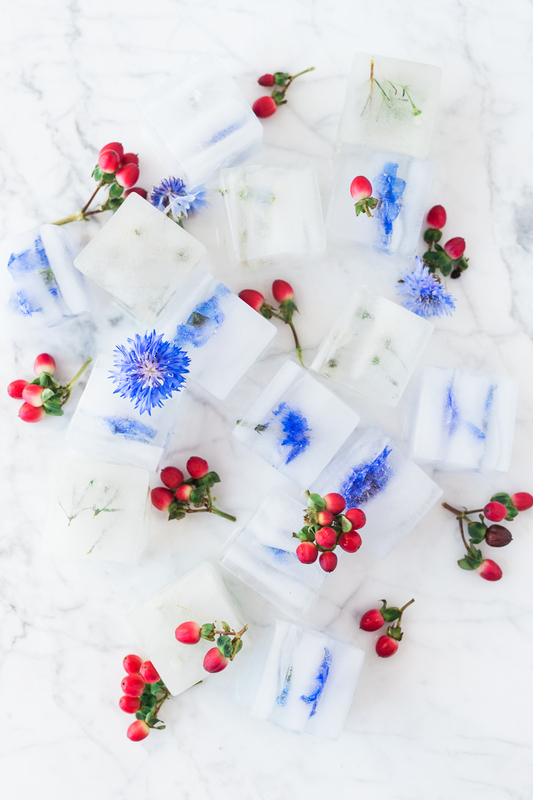 Add cubes to a large beverage dispenser, an ice bowl, or to individual beverages. Cheers to a happy Fourth of July!